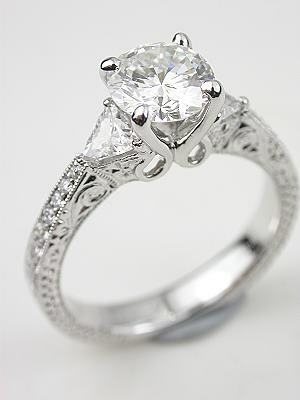 Vintage style diamond engagement rings like this one are a symbol of your endless love for each other. 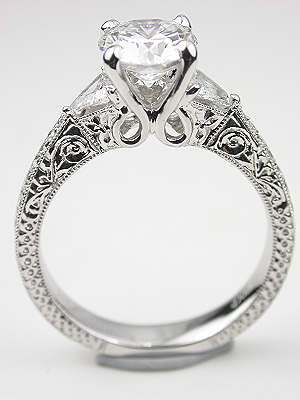 Cradled in a magnificent 18k white gold filigree mounting is a round brilliant cut diamond. This 0.90 carat GIA certified diamond is G in color and SI1 in clarity with a very good cut grade. This diamond is flanked by two trillion cut diamonds. 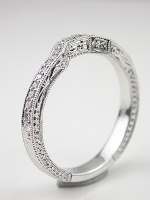 An additional fourteen round brilliant cut diamonds extend down the shoulders of the elaborately filigreed band. The combined weight of all the diamonds in this engagement ring is 1.31 carats. 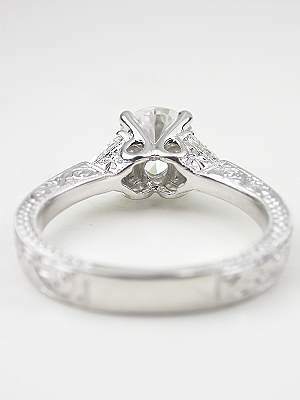 This is a vintage style (new) engagement ring. 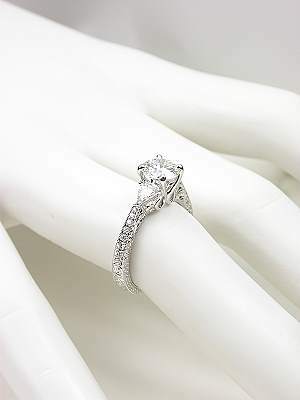 Special characteristics This engagement ring has a matching band which may be purchased separately. 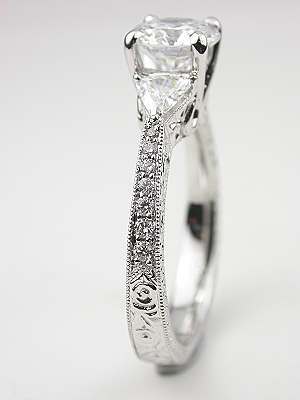 See ring style RG3121wb. 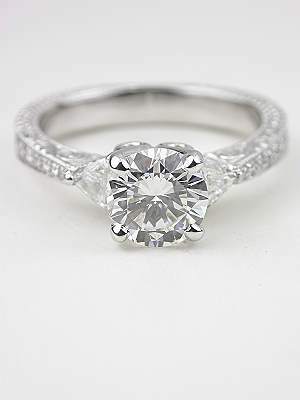 Diamond3 other info A GIA Diamond Grading Report #14724424 is included with your purchase.